Sheryl Sandberg, Facebook's chief operating officer, on Wednesday revised her account of her knowledge of the company's relationship with Definers Public Affairs, the Washington-based public relations firm that the company hired last year and fired this month after a firestorm over the firm’s tactics. Definers, a firm founded by Republican operatives, has drawn criticism since The New York Times reported last week that it pushed reporters to investigate ties between billionaire George Soros and anti-Facebook advocates — a tactic that Soros’ office called a smear campaign with echoes of anti-Semitism. Definers also ran what one employee described to NBC News as an “in-house fake news shop,” known as NTK Network, which pushed stories on behalf of clients in the hope that bigger media outlets would pick them up. Facebook says it didn’t ask for that specific service. 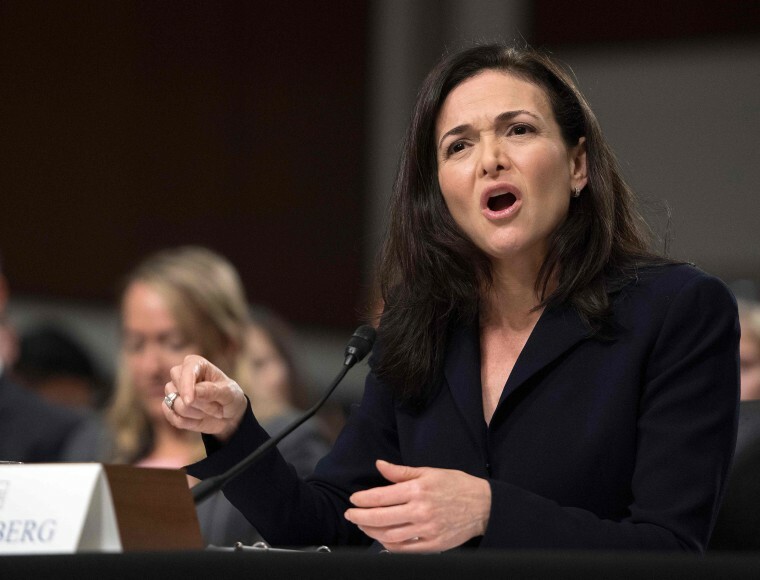 Sandberg, who is second in command at the company to CEO Mark Zuckerberg, said in a statement posted online on Wednesday that she had learned more about Definers in recent days after ordering her staff to check records. “I asked our team to look into the work Definers did for us and to double-check whether anything had crossed my desk,” she said. Facebook did not immediately respond to a request for additional details of what Sandberg saw. Previously, Sandberg said that she had not known about Definers’ work. “I did not know we hired them or about the work they were doing, but I should have,” she said then in a post on Facebook last Thursday. Sandberg added that the company had no intention of implicating Soros in a way that would be anti-Semitic. "I also want to emphasize that it was never anyone’s intention to play into an anti-Semitic narrative against Mr. Soros or anyone else," Sandberg said. "Being Jewish is a core part of who I am and our company stands firmly against hate. The idea that our work has been interpreted as anti-Semitic is abhorrent to me — and deeply personal." In Wednesday's blog post, Elliot Schrage, Facebook’s outgoing head of communications and policy, said that responsibility for the hiring and oversight of Definers should rest with him. “I knew and approved of the decision to hire Definers and similar firms," Schrage said. "I should have known of the decision to expand their mandate."